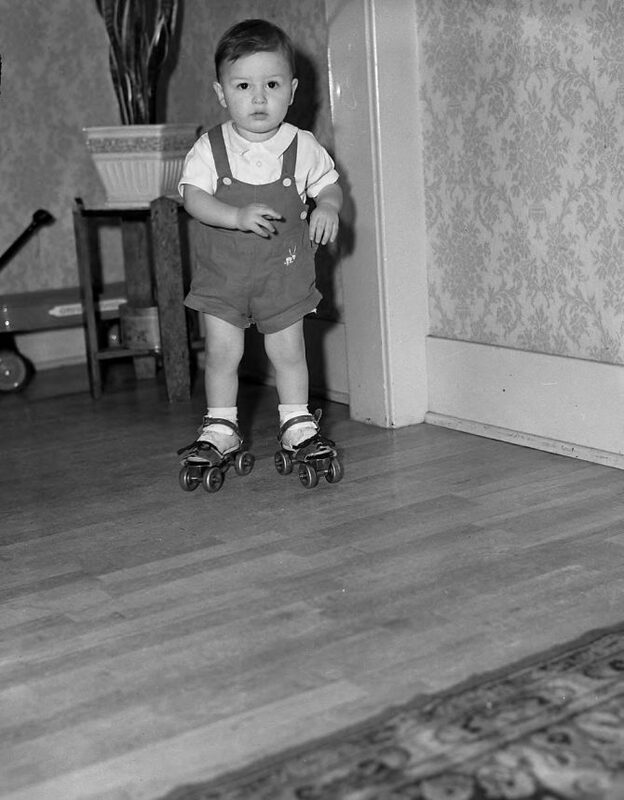 At the tender age of 18-months, Ronald "Ronnie" Ferch was already roller skating across the hardwood floors in his parent's home. The toddler, son of Mr. and Mrs. Alvin L. Ferch of 3907 No. 24th, probably qualified as Tacoma's youngest skater. In December, Ronnie had been visited by his older cousins who brought their special gifts from Santa Claus, new roller skates. Unobserved by his mother, they taught Ronnie to skate. After having to wrench their skates from him on their departure, Ronnie's dad went out and bought him his own skates. Once supplied with skates, the tyke used his home as a regular rink.